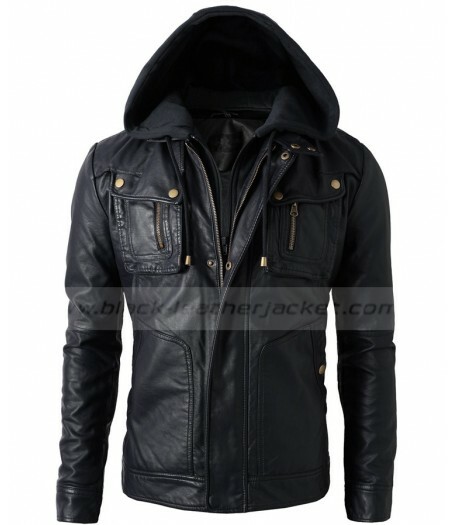 To give you modernize look along with fabulous touch, we presents extraordinary piece from our collection Mens Leather Jacket with Hoodie made from faux leather with inner viscose lining to give you slick effect. 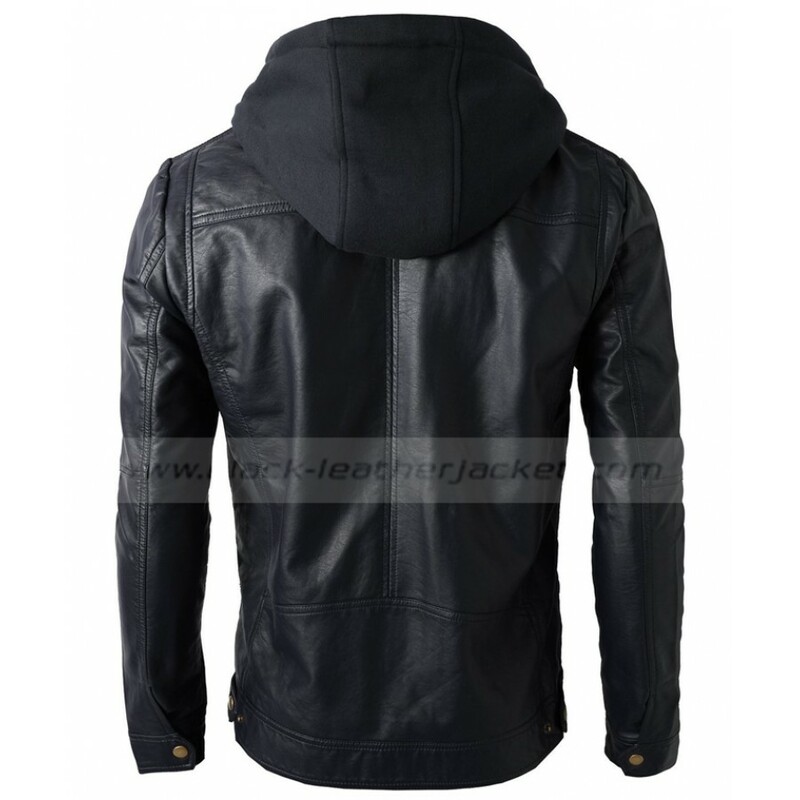 Special feature of jacket is its attached hood, you can wear it with or without hood. Now you have a choice to change you style according to your mood and occasion. 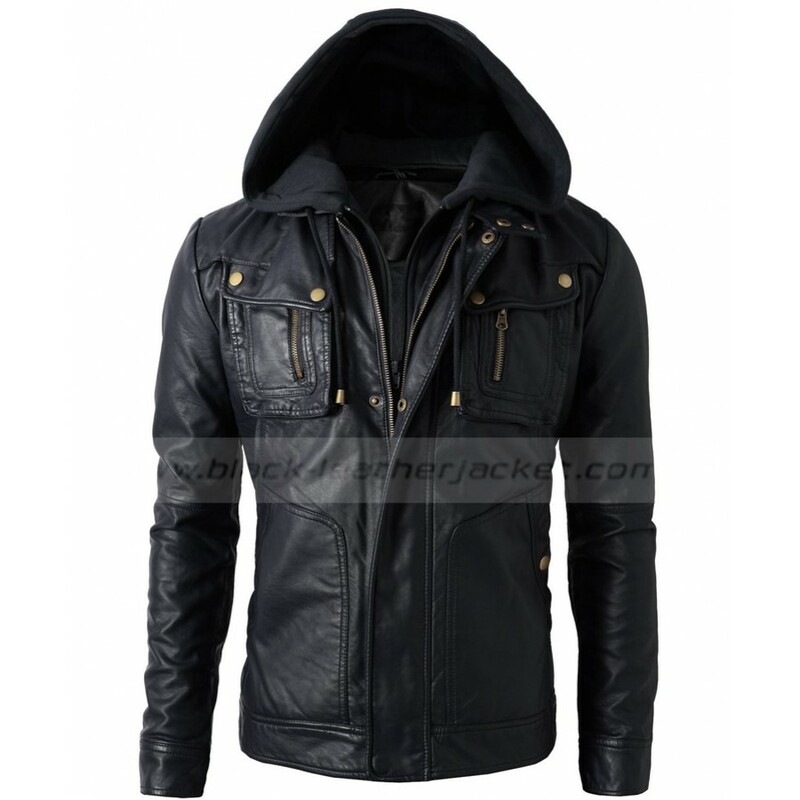 Faux Leather Jacket with Hood is in exotic black in color having flap tab collar with front flap zipper closure gives striking effect and make it appealing apparel. It has long sleeves with buttoned cuffs. 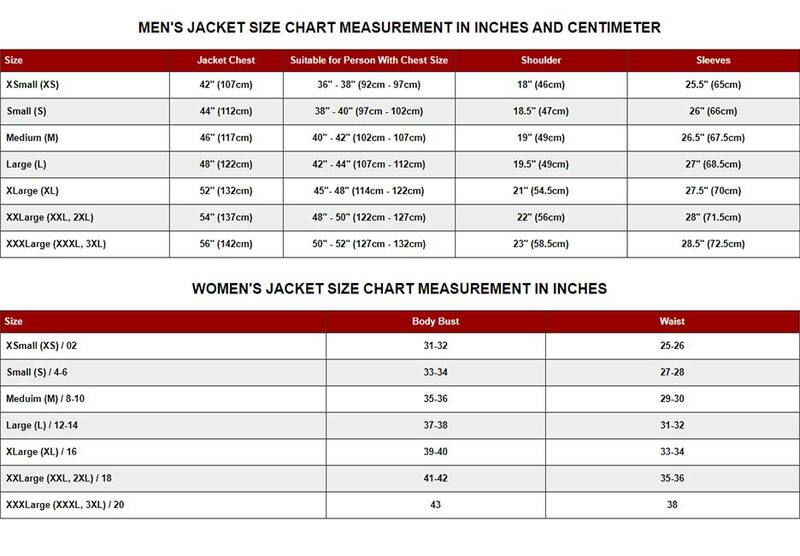 The jacket compliments with two flap tab front pockets, two designed jetted pockets decor with stitching details and golden snap tabs enhance its charming look and make Faux Leather Jacket with Hoodie fashionable piece for clothing.